These are the English editions covering France, but see also the page on Paris and (for Riviera) the page on the Mediterranean. There is also a page on editions in French. 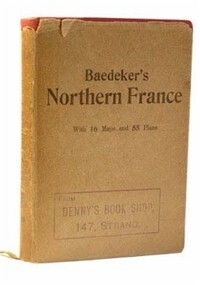 Apart from Paris, there were no books on France in German. Note the bifurcation of "Southern France" into Southeastern and Southwestern, which then joined back together again.